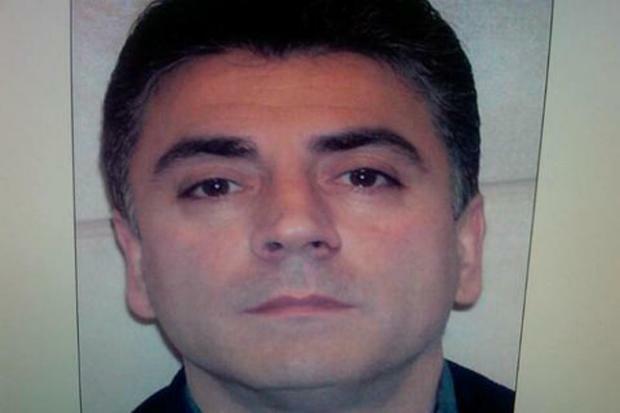 The Gambino crime family is set to name Francesco "Franky Boy" Cali as its new godfather. Cali — a native New Yorker who traces his roots firmly to Sicily — is to be secretly anointed as the next head of the nation’s largest La Cosa Nostra organization, sources told DNAinfo New York. The sources say Cali’s ascent from underboss is imminent and will put him in complete control of the Mafia family that has 750 members and associates and was once ruled by the likes of John “The Dapper Don” Gotti and the group's infamous namesake, Carlo Gambino. A top New York City law enforcement source said the Gambino capos continue to look up to Cali, 48, because of his old-school approach to running a massive crime family, his adherence to traditional Mafia values, personal family ties that stretch across the Atlantic to Italy and his insistence that members maintain a low profile. The latter continues a break with the flashy, headline-grabbing era marked by Gotti, whose visage once graced the cover of Time magazine. Gotti died of throat cancer in prison in 2002. Sources say the current boss, Domenico "Greaseball" Cefalu, 76, is a native Sicilian with a long history of heroin smuggling and several stints in prison. He is stepping aside to allow his younger protege to take the reins of the family's lucrative gambling, loansharking and construction rackets. "The family believes Cali is more dynamic and that Cefalu has become too laid back . . . and that's not what a money making organization wants," another law enforcement source said. Cali got his start in the mob by running a fruit store on 18th Avenue in Brooklyn called Arcobaleno, which means "rainbow" in Italian. The feds say it doubled as a front for criminal activities. His parents immigrated to Brooklyn from Palermo, Italy. He eventually married into mob royalty when he wed the daughter of one of the Inzerillos, who are known as one of the Mafia powerhouses in Italy. He is also a nephew of John and Joseph Gambino, who are influential hoods connected to the famous “Pizza Connection” drug trafficking case of the 1980s. Cali made his bones under the Gottis while operating in Manhattan, Brooklyn and New Jersey. According to the FBI, he officially became the Gambino "ambassador to the Sicilian Mafia" and a rising star when Gotti and Salvatore "Sammy Bull" Gravano roamed the city, ruling rackets and murdering dozens of people. In 2008, Cali and scores of other hoods were arrested in a massive drug and racketeering investigation dubbed "Operation Old Bridge" that centered on extortion of a Staten Island trucking executive who became an FBI wire-wearing informant. The case also involved planned NASCAR races on the island. Cali pleaded guilty to racketeering charges and spent a year in jail. “The Gambinos like Cali because of his low-key profile and old-school values,” a law enforcement source said. “The family wants to keep things that way." Over the past several decades, and thanks to the Racketeer Influenced and Corrupt Organization Act, the feds have severely reduced the influence of the Gambinos and the other four crime families over the past decade, breaking their grip on the billion-dollar labor union and construction industries. But the mob has remained strong in traditional money-making operations involving gambling, loansharking and prostitution, law enforcement authorities say.